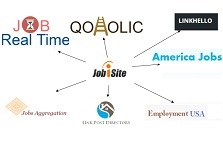 Job boards are the leading online agencies that help people find the right kind of jobs that suit them, these agencies create a rapport about the candidates to the company and help them find the job that fits their position and the pay scale. Many young people in search of jobs are it public or private prefers searching them through these web sites as they are very reliable and trust worthy. The information posted on these pages will be true and some of them will surely match the people’s thoughts regarding the job they are looking for. Most of the time it is the rarest jobs that are posted here, they are those that will never be posted in the newspapers, nor does the media advertises them. This is simply reliable because they do not post in false information about the companies that require candidates. These jobs have a set of boards that do the online tests and place the candidates in to the company of their choice. They matter a lot, as these tests will check the aptitude of the candidates from any part of the world and makes sure they get the right job and are deeply contented with it and never regret. This is the most important function of the job boards it simply never disappoints its candidate’s who have placed their on them. An agreement is signed between the company and the job boards, before posting anything on their wall by the company. The company agrees to pay the job board a certain amount of commission, after the job board selects the right candidate that meets the company’s needs. Once the requirement of the company is met, then the job board takes in a lot more offers. Thus, the significance of job board is to place candidates in the right job.